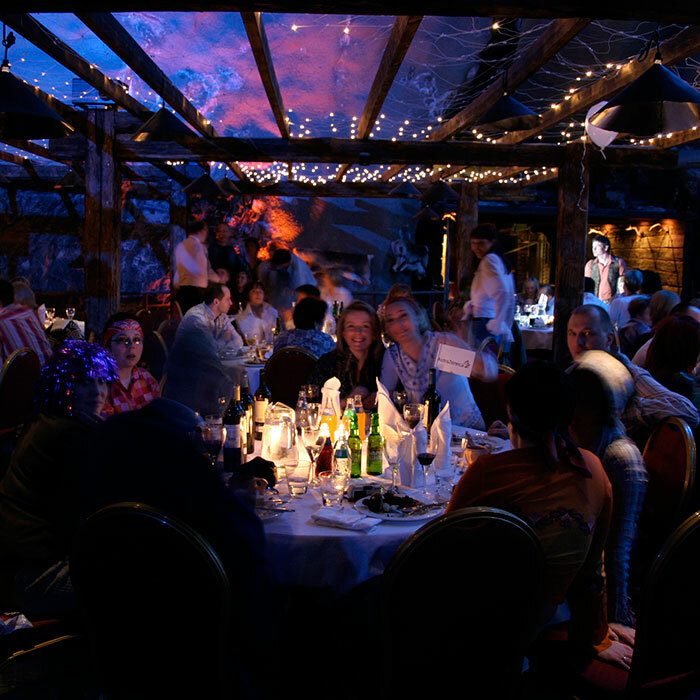 Most international conferences and corporate events held in Rovaniemi last for a couple of days and often include leisure time activities and evening functions. Rovaniemi is well known for exciting and exclusive experiences in magical natural settings provided by experienced service providers. Please see programme samples below. Through the years, Rovaniemi Congresses has been happy getting challenged by clients’ wishes and ideas and making them happen in Rovaniemi. Combining formal meetings with wild activities is our speciality, which is facilitated by the fact that nature is practically at the doorstep anywhere you are in the city. Even the most exotic dinner venues are located only a short transfer away from the city centre, making impressive evening programmes possible even when the schedule is tight. As the capital of Lapland, Rovaniemi has an interesting offering of arctic culture that can be experienced in sightseeing tours. All our programmes and activities can be tailored to clients’ requirements. Hotel meeting – have the day’s meeting in the hotel premises. 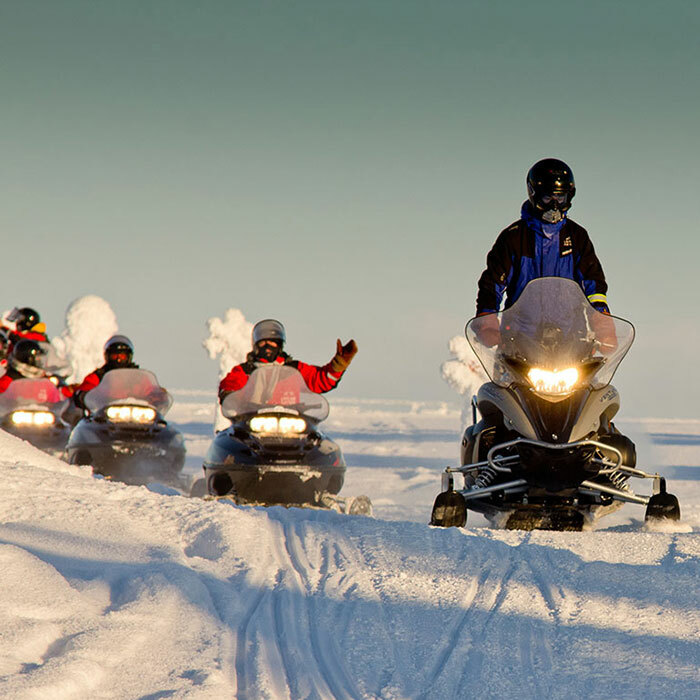 Kota meeting – go Lappish and hop onto snowmobiles in the city centre. From there, you drive to a cosy kota hut. Arty meeting – a short morning walk to Korundi House of Culture, where the meeting space is located. 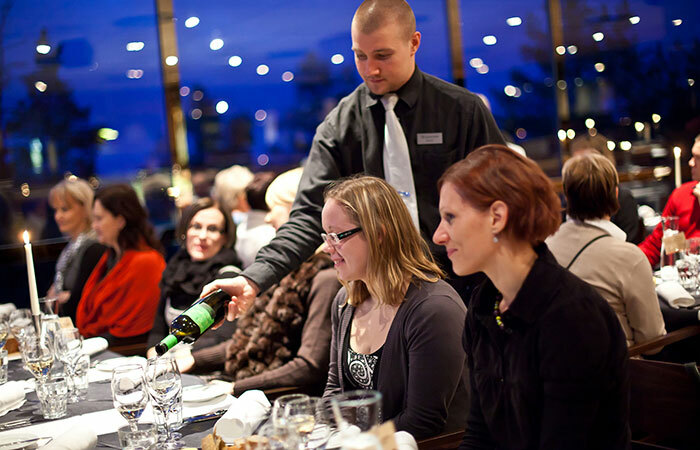 Dinner with a view – Sky Restaurant lies at the top of Ounasvaara fell, overlooking the beautiful river and forest landscapes of Rovaniemi, and serves first-class cuisine. Rovaniemi city safari: local legends and stories are unveiled in this inspirational sightseeing tour. In winter, the tour is completed on snowmobiles, and in summer on foot and by car. Lappish dinner – Restaurant Nili’s unique atmosphere will whisk your imagination away to the fells and wildernesses of Lapland. Delight in the flavours of Lappish specialities. 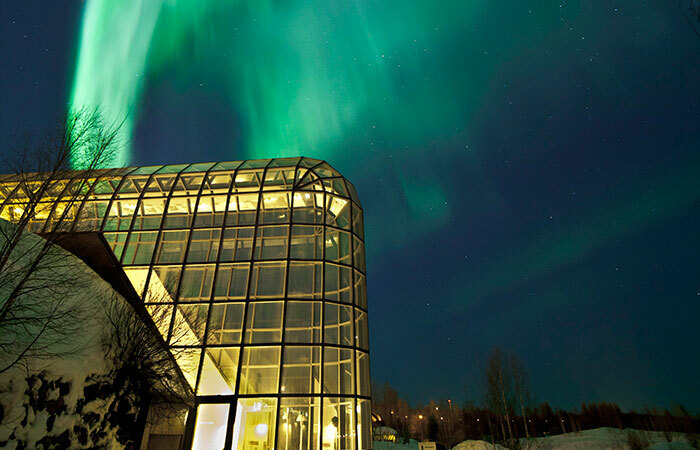 Arktikum is a museum, a science centre and a popular cultural attraction. 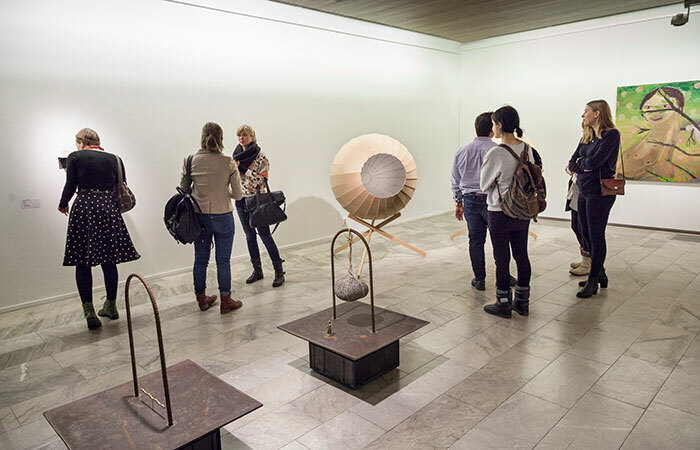 Arktikum exhibitions take guests on an adventure through Finnish Lapland and the Arctic Region. The guided tour takes an hour. Welcome dinner will be served in restaurant Gaissa in your hotel, Santa’s Hotel Santa Claus. You can choose to stay in the hotel and have a productive meeting in Santa’s Conference Centre or hold the meeting at Rovaniemi Town Hall, designed by famed Finnish architect Alvar Aalto. Team-building programme in Poropirtti: an experience at a local reindeer farm with a reindeer herder and a shaman. Dinner is served at the reindeer farm. Meeting at a venue of your choice during the day. Dinner: in winter, dinner is served in an igloo made of snow and ice. In summer, restaurant Thulia can be converted into a small and intimate setting or a larger banquet. Options if no meeting is chosen to be held: an icebreaker cruise or a winter driving programme in winter, and river cruise in summer. No visit to Rovaniemi and Lapland is complete without meeting Santa Claus. After meeting Santa, a stop at Santa Claus Main Post Office gets everyone a postcard with a unique Arctic Circle stamp they can send to anyone they wish. Day 1 – welcome to Rovaniemi! Arrival at Rovaniemi airport, where a local guide will bid you a warm welcome to the Official Hometown of Santa Claus! Get together dinner in Pohjanhovi, renowned for its cuisine, especially its famous reindeer stew. Arktikum (179 participants) – a cultural and scientific institution and an architectural landmark that houses both the Provincial Museum of Lapland and Arctic Science Centre. Rovaniemi Town Hall (230 participants) – situated in the heart of Rovaniemi, the Town Hall forms part of the city’s administrative and cultural centre designed by famous Finnish architect Alvar Aalto. 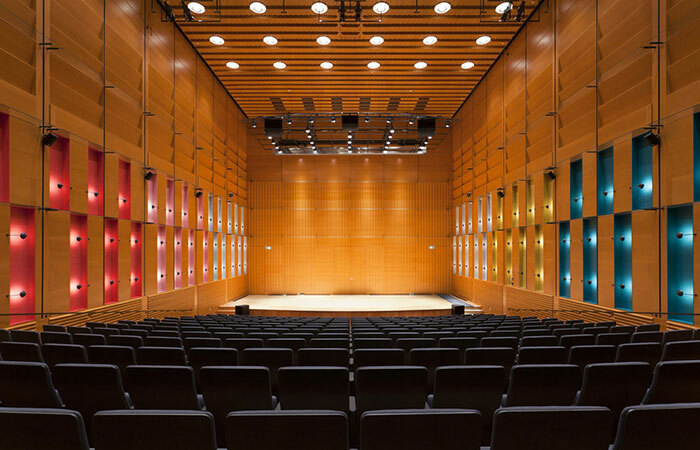 Korundi (340 participants) – the House of Culture has a concert hall with first-class acoustics and is perfect for all kinds of events such as meetings, congresses and seminars. Santa’s Conference Centre (up to 500 participants) – eight meeting rooms accommodate from 20 to 300 persons in the basement of Santa’s Hotel Santa Claus. 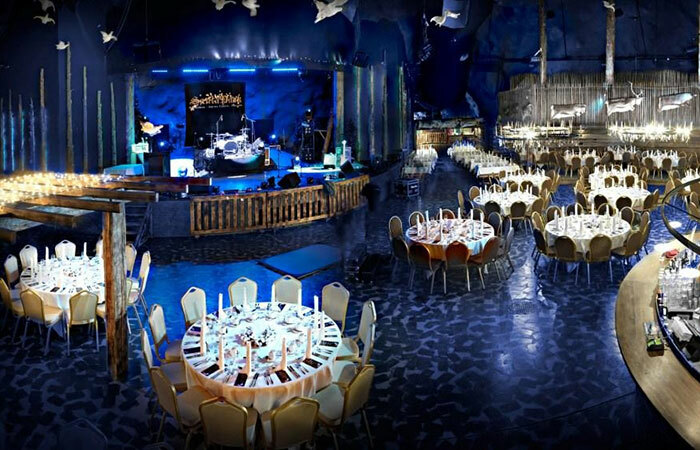 Rovaniemi offers a range of opportunities for arranging memorable events for large groups. Hotels in the city centre are very close to each other, and groups of over 200 are often accommodated in two different hotels. Santa’s home cavern is a very special place mined 50 metres under the Syväsenvaara fell. The central plaza is a multi-functional space that can be converted to cater for large-scale conferences, events, performances and gala dinners. This is the only place in the world where you can cross the Arctic Circle underground. Santa’s Conference Centre is located in the basement floor of Santa’s Hotel Santa Claus. Eight meeting rooms accommodate from 20 to 300 participants. Three of the meeting rooms can be connected to form one large space (250 m²), seating around 300 persons in theatre style. This room is suitable e.g. for small fairs and exhibitions, concerts, theatre performances, cocktail parties, banquets, private gala dinners and, of course, conferences. More conference facilities can be found on the first and second floors of the hotel. Kirnu, for example, is an elegant multifunctional room suitable for up to 500 participants. Lappi Areena is one of Rovaniemi’s largest integrated centres for major events. In addition to a variety of ice sports events, this adaptable venue houses top expos, conferences, meetings, seminars, concerts, training events and other large-scale shows and exhibitions. Lappi Areena is a modern multi-purpose hall. It can be transformed into a venue for any type of event according to the number of guests expected. 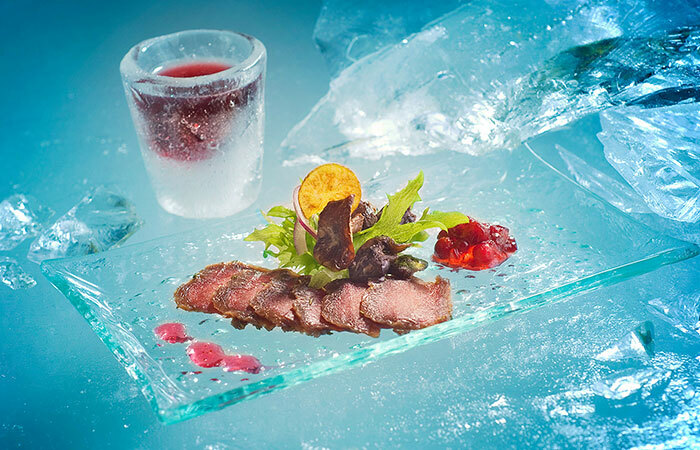 This is a seated or cocktail-style dinner served on tables made of ice. This magical experience is about much more than the delicious food. The igloos are rebuilt every year, making it possible to order an igloo just for your event. Illuminated ice structures as well as fire-based features will amaze guests from the moment they step into this realm of snow and ice. Elves handing out drinks bid guests a warm welcome at the entrance, while their talented colleagues entertain the guests with music. The long tunnel will take you below the Arctic Circle for a night of magic. A delicious dinner is served on the main square of SantaPark. Guests are invited to explore the cave and can enjoy its ice bar, cross the Arctic Circle underground, and sip champagne and sample gingerbread cookies. The highlight of the evening is a music and dance show based on various Lappish fantasy themes. Rovaniemi offers quite the range of unique dinner experiences: from a musical experience restaurant and a snow restaurant to dinner under the Northern Lights and a food walk, there’s plenty to choose from. 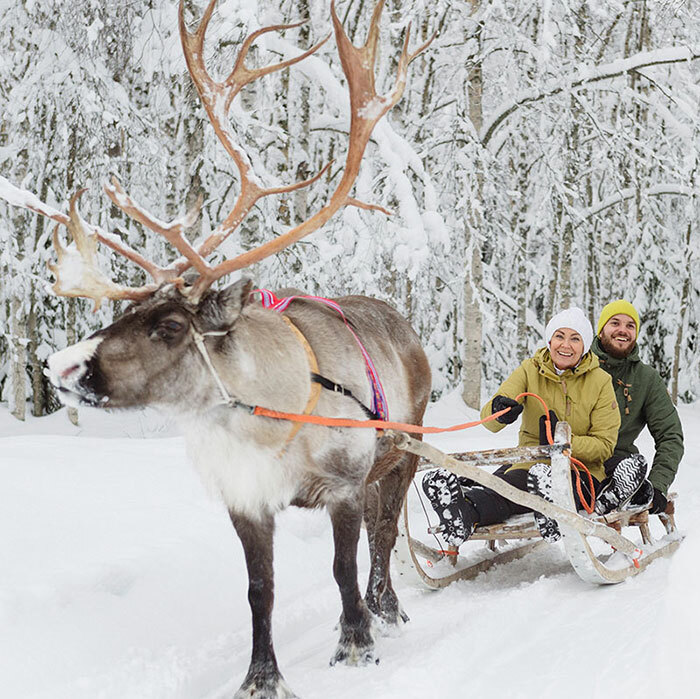 When it comes to activities, Rovaniemi is a top destination: in winter, snowmobiling, reindeer sleigh rides, husky tours, snowshoeing and a whole lot more are available. In summer, a river cruise to a reindeer farm is a great evening activity. Phenomena like the Northern Lights and the Midnight Sun also inspire scores of related activities. Dinners and activities are available as supplements to meetings, or they can be purchased as separate entities. Feel free to contact Rovaniemi Congresses! Travelling to Finland for a conference or event is a perfect opportunity to visit Rovaniemi, the official Hometown of Santa Claus and the capital of Lapland. Thanks to excellent flight connections from Helsinki and superb infrastructure in Rovaniemi, much can be experienced in a short time. Rovaniemi is located right on the Arctic Circle and offers a wide range of exciting activities, wild experiences and arctic culture. Pre and post tours can last for hours or days and are tailor-made to suit the specific needs of visitors. Rovaniemi excels in industries concerned with arctic expertise, mining and use of natural resources. In addition, expert organisations within ICT and tourism can also be visited in the official Hometown of Santa Claus. Technical visits are prepared for specialist delegations who wish to network in Rovaniemi and Lapland. The programmes are designed to suit the interests of the delegation. Some of Rovaniemi’s expert businesses are: Arctic Drilling Company (mining), BRP Finland (snowmobiles), Lappset Group (playground equipment), Norrhydro (hydraulics), Roadscanners (traffic monitoring), Savaterra (environmental technology) and Arctic Power (ICT, energy and construction).